Navigation: Home > News > Security > Buratai to Shekau: Surrender Now! 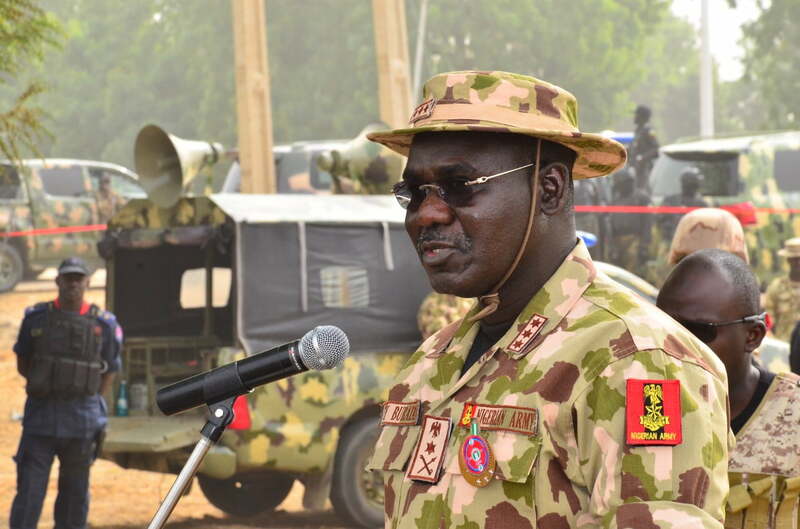 Buratai to Shekau: Surrender Now! Nigeria’s Chief of Army Staff, Lt. Gen. Tukur Yusuf Buratai, has warned leader of the dreaded Boko Haram sect to either surrender his arms and embrace peace or face perdition. The army chief gave this warning via a poem he released on Thursday. Buratai, in a poem he penned to the kingpin of the Boko Haram sect, Abubakar Shekau, said it would be best for him to surrender as there would be no escape for him. The poem entitled ‘End of the Road’, warned Shekau that the era of his deceit and fake ideologies were over and that he must surrender because all his foot soldiers and ‘foolish’ pawns have abandoned him.